Late last year a group from Harvard’s T. H. Chan School of Public Health published a paper entitled, “Energy savings, emission reductions, and health co-benefits of the green building movement” in Nature’s Journal of Exposure Science & Environmental Epidemiology. In their paper MacNaughton, Cao, Buonocore, Cedeno-Laurent, Spengler, Bernstein, and Allen consider the cumulative energy savings of some 20,000 commercial buildings, world-wide, that have been certified under the U. S. Green Building Counci’s Leadership in Energy and Environmental Design (LEED) since the program’s inception. Their focus is to calculate environmental co-benefits associated with this (assumed) energy savings. Unfortunately their entire thesis is predicated on assumptions that are not supported by facts. Their paper, masquerading as a peer-reviewed journal article, is little more than a marketing brochure for the USGBC and is devoid of credibility. MacNaughton et al. make the naive assumption that LEED-certified buildings demonstrate, year after year, the energy savings their design teams predicted during the certification process. This was essentially the same assumption that underpinned the now-discredited Kats report from 2003. Numerous studies have shown that buildings in general, and green buildings in particular, use significantly more energy than predicted by their design teams. This so-called “building performance energy gap” is pervasive and well-documented. The Harvard paper is entirely based on the results of the 2008 NBI study which has long been discredited. Frankly these energy-performance assumptions are sophomoric. The authors cite only three references to support their assumptions — all published a decade ago — and they misrepresent the results of one of these papers — I know, because I wrote it! They apparently are unaware of upwards of 12 studies published in the last decade that look at energy performance of LEED buildings. The Harvard paper should have been rejected in the review process. If I were at liberty to do so I would publish the reviews of my critique as they affirm essentially all the claims I have made. One of the Harvard authors served on the Board of the USGBC which should have raised a red flag. The paper was received by the Journal on October 12, 2017 and accepted for publication five days later. This accelerated time frame raises questions about the substance of the peer-review process. And finally, the authors make several factual claims about LEED buildings in their paper that are simply incorrect. To their credit the editors of this Nature journal allowed me to submit and publish a critique of this Harvard paper. My paper is entitled, “A critical look at ‘Energy savings, emissions reductions, and health co-benefits of the green building movement. '” Interested readers should read my critique of the Harvard paper which contains numerous references and relevant facts. As more and more building energy data become available a consistent picture is emerging that shows that LEED-certified buildings use no less primary energy than other buildings. The latest contribution in this area is a paper soon to be published in Energy and Buildings entitled, “Energy Performance of LEED-Certified Buildings from 2015 Chicago Benchmarking Data.” This paper compares the annual energy use and green house gas emission for some 130 LEED-certified commercial buildings in Chicago with that of other Chicago buildings in 2015. Chicago, it turns out, has one of the highest rates of LEED-certification among major U.S. cities. The data clearly show that the source energy used by LEED-certified offices, K-12 Schools, and multifamily housing is no less than that used by other similar Chicago buildings. In the case of K-12 Schools, LEED-certified schools actually use 17% more source energy than other schools! Many studies that address building energy use only discuss energy used on site, called site energy. We found that LEED-certified buildings in Chicago use about 10% less energy on site than do other similar buildings. No doubt green building advocates will emphasize this apparent energy savings. But energy used on site – called site energy – is only part of the story. Site energy fails to account for the off-site losses incurred in producing the energy and delivering it to the building – particularly important for electric energy that, on average, is generated and distributed with 33% efficiency. The EPA defines source energy to account for both on- and off-site energy consumption associated with a building; building Energy Star scores are based on source energy consumption. The issue is similar to one encountered when comparing the environmental impact of electric vehicles with internal combustion vehicles — you must trace the energy back to the electric power sector. How is it that LEED buildings use less energy on-site than other buildings while consuming more source energy? Simple — more of their (indirect) energy use occurs off-site in the electric power sector. They use less natural gas but more electric energy than other buildings. Essentially a larger fraction of their energy use occurs off-site in the electric power sector. This is the trend in newer buildings, to use more electric energy and less natural gas or district heat energy. Part of this is convenience and part of it is driven by the belief, or rather hope, that the electric power sector will soon be dominated by renewable energy. It is true that the contribution of renewable energy (solar, wind, etc.) in the electric power sector is growing, but this is a very slow process and, for many years to come, natural gas and even coal will remain the dominant source for electricity. This trend is not unique to LEED buildings — it is present in all new buildings. When you compare Chicago’s LEED buildings with other Chicago buildings of similar vintage you find that they use similar site and source energy. Bottom line, 2015 Chicago data show that LEED-certified buildings are not providing any significant reduction in energy use or GHG emission. These results are similar to those observed earlier for LEED-certified buildings in NYC. In May 2016 Oberlin College opened its newly constructed Hotel at Oberlin. The New York Times ranked the Hotel third in its list of 5 Hotels and 5 Tours for the Eco-conciousTraveler. It is all part of the ongoing marketing effort to paint Oberlin College as a sustainable and green institution. Hard to believe that any amount of eco-spin can convince people that a view of Oberlin’s Tappan Square is environmentally rewarding. Of course what makes the Hotel at Oberlin a green destination is not it surroundings — it is the building itself. Like the Taj Mahal, committed environmentalists will simply swoon in the presence of this green wonder. 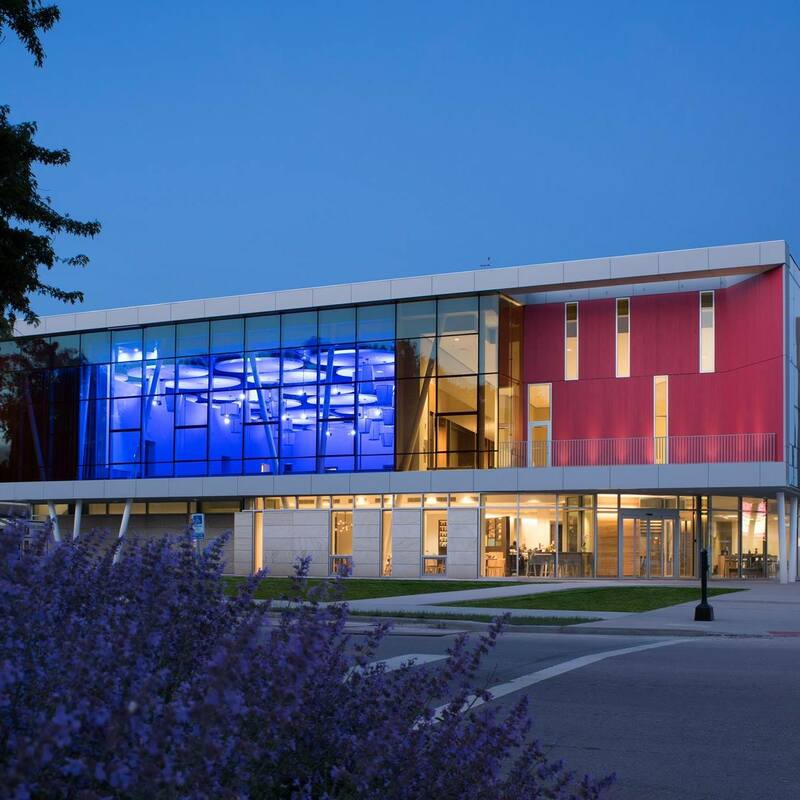 The second (and larger) of Oberlin College’s highly-publicized green buildings, the College has claimed that the Hotel is the first 100% solar powered hotel in the world and one of only five Hotels in the world to win the coveted LEED Platinum rating. In addition to claims of solar power the building is said to be heated by a geothermal well field and to include other green technologies — including radiant-cooled rooms. Its web site boldly claims that it has achieved the LEED platinum rating. Truth is the hotel is not powered by the sun nor is it LEED-certified at any level. I wrote about this Hotel nearly two years ago when it opened. The main focus of that post was to address the solar claim. I will not rehash the evidence here — please read the blog. The claim is a brazen and clever lie — Donald Trump would admire its creativity! Simply stated, the Hotel is no more solar powered than is my century-old home. There is not one solar panel on the building site. The 2.2 MW OSSO array that is claimed to power the Hotel was built years before the hotel, is located a mile away, and, by contract, sends all of its electricity to the City of Oberlin until 2037 at a price of $85/MWh. Today I write to share the Hotel’s energy-performance data and to discuss its LEED rating. The Hotel is well into its second year of operation and we now have 21 months of utility data. In my 2016 post I suggested that the Hotel would use two million kWh annually, more than double the 800,000 kWh used by the Oberlin Inn it replaced. For 2017 the Hotel actually used 1,400,000 kWh of electric energy. This is 75% more electric energy than was used by the former Oberlin Inn, but less than my estimate. It is consistent with the annual electric use projected for the Hotel by its design team. But the Hotel also uses natural gas. The marketing literature for the Hotel says that the building is heated with ground-source heat pumps. Natural gas, we are told, is primarily for heating domestic water (laundry, showers, etc.) — available, but not anticipated for backup heat. The design team projected the annual gas use to be 8,350 therms (Ccf). In fact, for 2017 the Hotel at Oberlin used 39,000 therms (Ccf), nearly 5X that predicted by the design team. This is more natural gas than is used by any other Oberlin College building save one — the 130,000 sf Science Center! The Science Center, constructed 17 years ago, contains numerous research and teaching laboratories and chemical hoods and has never been described as a green building. 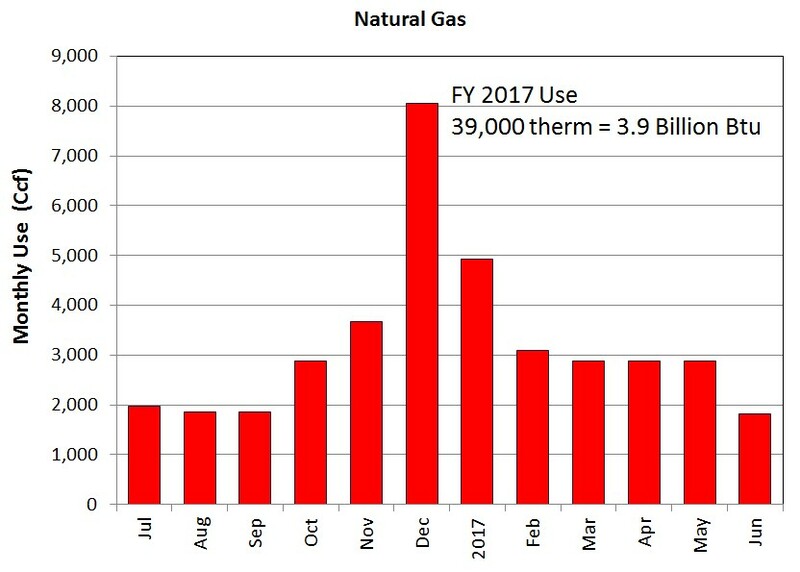 It used 58,000 therm of natural gas in FY2017. The natural gas use of the Hotel at Oberlin exceeds that of any other College building including the Firelands Dormitory (26,000 therm), the new Austin E. Knowlton complex (26,000 therms) and Stevenson Dining Hall (23,000 therms). How does the Hotel at Oberlin’s energy performance compare with that of other hotels? Consider its Energy Star score. This can be estimated using the EPA’s Target Finder web site that allows quick data entry to estimate scores. Entering the Hotel’s floor area (103,000 sf), number of guest rooms (70), cooking facility (Yes), 100% of the space heated and cooled, and actual FY2017 energy use, and accepting other default parameters, the Hotel at Oberlin is awarded an Energy Star score of 56. According to the EPA — just a bit above average. Don’t get me wrong — I am a huge critic of the Energy Star benchmarking score. But it is one way to compare energy use with other hotels. The monthly gas usage for the Hotel at Oberlin is shown below. The excessive use in months Nov. – Feb. is clear evidence that significant gas is used for heating. But even if you eliminate this heating use, the remaining use is nearly 3X the design estimate. Finally, let me address the claim that the Hotel at Oberlin is certified LEED Platinum. It simply is a lie. I downloaded the USGBC LEED project database today. The Hotel at Oberlin was registered on March 8, 2013 as “Confidential.” Its LEED project ID is 1000031165. As of today, February 23, 2017 the Hotel at Oberlin is not LEED-certified at any level. The LEED project database says it has achieved 53 points — not enough to even achieve certification at even the Gold level. Perhaps one day the claims being made for the Hotel at Oberlin will become true. There is a lesson to be learned by looking at Oberlin’s Green building, generation-I, the Adam Joseph Lewis Center. Oberlin College’s Adam Joseph Lewis Center opened in 2000 to much acclaim. Its proponents claimed it was a zero energy building (ZEB) for more than a decade when it just wasn’t true. The claims were repeated by two Oberlin College presidents, College literature, and the College web site. The College never issued a retraction — it spent hundreds of thousands of dollars to correct flaws in the building’s HVAC design hoping to lower building energy use to a level that could be met by its 45 kW rooftop PV array. The College eventually switched from “sticks” to “carrots” and in 2006, with the gift of a million dollars, built a second, 100 kW PV array over the adjacent parking lot and, with tripled electric production, renewed its ZEB claim for the building. The building continued to use more energy than all of its arrays generated through 2011. Even when faced with incontrovertible evidence that the claim was false the College continued to print the claim for another year in admissions literature distributed to students. The College has never issued a public retraction or correction. In 2012, after hiring a full-time building manager, the building finally used less energy that year than its PV arrays generated. These arrays now feed two buildings, the AJLC and its adjacent annex. Energy-intensive functions have been located in the annex and, collectively, these two buildings use more energy than the arrays produce. Maybe in the next decade the College will build a parking garage next to the Hotel at Oberlin and put a huge PV array on it. This could make the Hotel at Oberlin solar-powered — but not 100%. Not sure how it will solve its natural gas problem — but clever minds will think of something. The era of Donald Trump is here. It is not illegal to lie, and no lie is too big to sell. The bottom line is this. The Hotel at Oberlin is just a normal, expensive hotel that purchases both electricity and natural gas from the local utility companies. It uses more energy than the hotel it replaced. It is the perfect symbol of modern green wash — 20 % substance, 60% exaggeration, 20% lies. I don’t know if this statement is true or not — but I am humored by its implications. According to the EPA, the building Energy Star score is a ranking of a building’s energy efficiency as compared with similar buildings in the U.S. commercial building stock. It is assumed that the mean or median building score is 50 — simply reflecting the inescapable fact that half U.S. buildings are better than average and half are worse. This is a necessary consequence of the meaning of a cumulative population distribution! It also follows that 10% of the buildings necessarily have scores below 11 and 10% have scores higher than 90. Perhaps it is true that only 1% receive scores that are 90 and higher. But if true, the score clearly cannot reflect the meaning given it by the EPA. Perhaps the author of that gbig web page needs to reflect on the meaning his/her/their statement. I receive occasional newsletters from HVAC consultant Larry Spielvogel concerning building energy and the HVAC industry. Yesterday he sent out a link to an editorial that appeared in Crains New York Business concerning a recent ordinance passed in New York City that “forces large buildings to post letter grades reflecting their energy use.” These grades will apparently be based upon a building’s Energy Star score. He is right on the first two counts but wrong on the third. This will accomplish something very important, it will further the cause of truth! It is better that the public be confused by the truth than to be told lies that bring clarity. Confusion may lead to investigation and resolution. The City’s new grade is based on the EPA’s building Energy Star score. As I have shown in multiple venues, this score is largely garbage. (See, for instance, earlier blogs from 2016-11-21, 2016-12-14, 2015-09-19, or 2014-08-22.) The scoring system is mostly ad hoc, made up by non-engineers with a political agenda. Armed with the knowledge acquired in a semester college statistics course they have developed scores that lack basis in building science or engineering . They mean well — they want to help the environment. Their approach is to condense building energy efficiency into a single metric that masses can understand and they can control. But the score is largely meaningless and the DOE building scientists who helped develop the score 15 years ago have long since distanced themselves from this runaway system that lost its connection with reality. LEED building certification, a system also born with good intentions, has been shown to have little average impact on building energy use! LEED-certified office buildings in NYC use just as much energy as do other NYC office buildings. Similar results have been uncovered in Chicago building energy benchmarking data. The excessive energy used by One Bryant Park (aka The Bank of America Building) has been discussed before. (See my earlier post and the New Republic article by Sam Roudman.) For 2016, One Bryant Park had an annual site energy intensity of 211 kBtu/sf, more than twice that of the average NYC office building for 2015 (94 kBtu/sf). (For 2015 its energy use was somehow omitted from NYC’s public disclosure.) 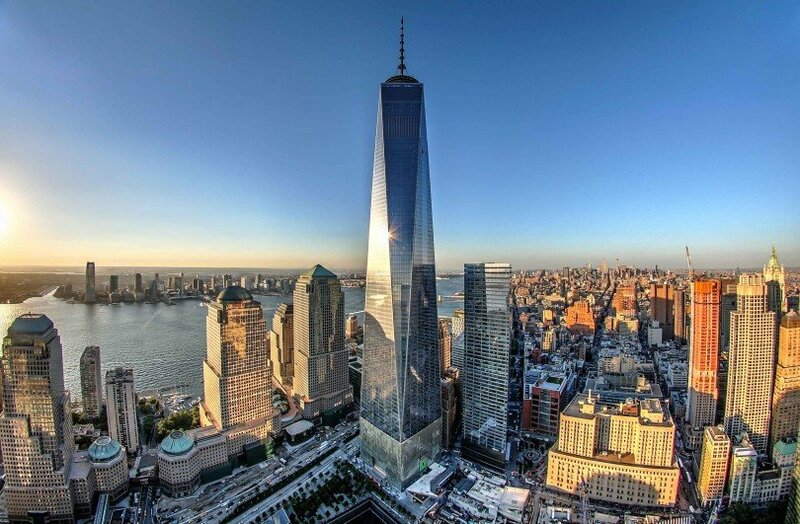 The energy use of One World Trade Center (aka The Freedom Tower) has not appeared in the 2014, 2015, or 2016 NYC disclosures, despite the fact that the building opened in November 2014. No doubt the Port Authority keeps its energy use secret as a matter of national security. Nature does not care what awards these buildings have won or the clever technologies their owners have employed. Nature only cares about total GHG emission and fossil fuel consumption and, by these measures, these buildings are not exemplary. No doubt these building owners believe they are not responsible for the excessive energy use — it is their tenants. True or not, it does not matter. The building and its occupants are judged together. If the owner is embarrassed — find different tenants. 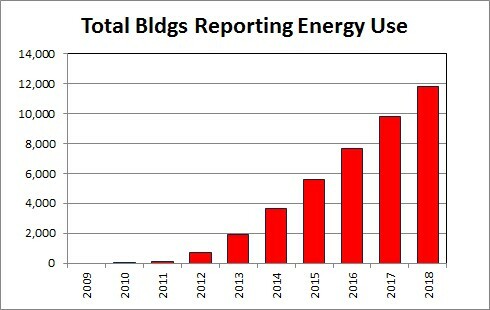 When will the USGBC come clean about their energy data? Ever since the U.S. Green Building Council (USGBC) certified its first LEED building, questions have been raised as to whether LEED-certified buildings actually save energy. For years LEED proponents have attempted to answer these questions by putting forward energy simulations — calculations performed by the design team before a building is ever constructed (or renovated) that demonstrate how much energy the proposed building design should save. The problem is that intentions do not equal performance, and numerous studies of buildings have demonstrated a wide gap between the actual measured energy performance of a building and its design simulations. I have undertaken several studies that compare the energy performance of LEED-certified buildings with other, similar buildings. One of the key barriers to such studies is the difficulty in obtaining measured energy performance data for LEED-certified buildings. Municipal energy benchmarking disclosure laws are beginning to crack this “green wall of silence” but, even so, you will find energy data for only a few hundred LEED-certified buildings in the literature. One of my regular end-of-the-year rituals is to download the current version of the LEED Project Database posted by the USGBC. This database lists all registered LEED projects, including information about the LEED system, certification, number of points received, etc. Below I will share some interesting statistics calculated for these data. As of December 26, 2017, there are 23,137 LEED-certified commercial buildings (*) in the U.S., certified in programs that address whole-building energy (NC, EB:OM, CS, School). This is nearly 100X the aforementioned number of LEED-certified buildings whose annual energy consumption have been studied in the peer-reviewed literature. Obtaining energy performance data is a critical road block to understanding building energy performance. To address this, the USGBC, starting in 2009 with its version 3 certification programs, instituted a requirement that all LEED-certified buildings must report to the USGBC for five consecutive years following certification, whole building energy use data. It was hoped that such data would demonstrate the success of the program in saving energy and would guide future improvements in the LEED standard. So, what have we learned from these data gathered by the USGBC? We have learned that the USGBC does not want to publicize these data. Four buildings were certified in version 3 programs in 2010 — so their first year energy performance data would have been reported in 2011. That number has grown dramatically in successive years. The graph below shows the total number of buildings certified in relevant LEED.v3 or LEED.v4 programs as of January 1 of the year shown. By January 2017 this number had grown to nearly 10,000. When 2018 arrives these buildings will have another year of energy use data to report to the USGBC. Moreover, 1,931 of these buildings certified by the first of 2013 should be reporting their fifth year of energy consumption. Where are the reports that analyze these data? So why isn’t the USGBC making these data available for analysis? The answer is simple — the data show that LEED-certification is not saving the 30-35% energy that the USGBC has claimed for years. This is no different from General Motors suppressing data that show Corvairs are not safe, tobacco companies hiding data that show cigarettes cause cancer, or the Catholic church protecting priests accused of sexual misconduct. All organizations, first and foremost, care about self-preservation. But the LEED project data show another interesting trend. Again, looking at the commercial LEED systems that address whole-building energy, it is interesting to look at the numbers of U.S. buildings that were certified by year. This graph is shown below. The graph shows a trend that you can detect when you talk to builders and building managers. Interest in LEED is waning. 2013 was the peak year for LEED certifications in the US. Since that peak the annual number of U.S. commercial buildings receiving LEED certification in these programs has steadily declined. Builders and property owners are catching on to the fact that LEED buildings are not saving energy, and the novelty of certification is wearing off. 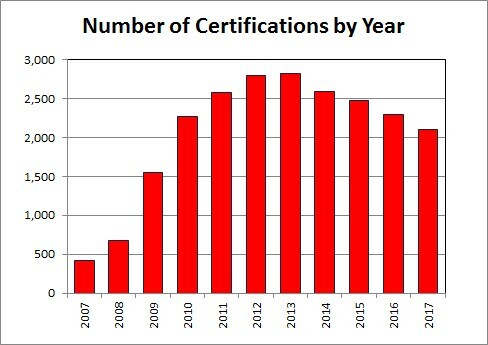 The graph above actually over-estimates the number buildings certified each year. The reason is that some buildings get certified a second, and even a third time. These certifications are counted above, even though these “re-certifications” do not add new buildings to the list (just new certifications). The USGBC, of course, does more than just certify U.S. buildings in the whole-building energy systems considered here. Marketing green is their strength — they have exported their wares to many other countries and they have invented new LEED certification systems that can make small tenants in large buildings feel good (e.g., commercial interiors, CI). No doubt global USGBC sales continue to rise. But make no mistake about it — the core product of energy efficiency is falling flat with U.S. commercial building owners because the product is highly flawed. 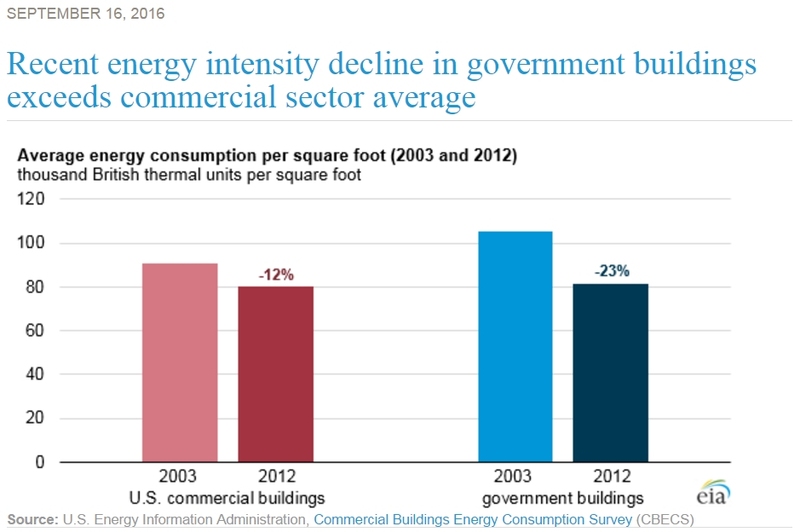 I recently ran across a post on the Energy Information Agency (EIA’s) web sit highlighting the fact that from 2003 to 2012 Federal buildings had achieved a greater decrease in energy use intensity than had been achieved by commercial buildings, on average. I find this spin to be offensive on various levels. The relevant graph is shown below. The first thing to note is that, even with this decrease in energy use Federal buildings still have higher EUI than do other commercial buildings (compare the red and blue 2012 bars). Third, why is the EIA engaging in such spin? This agency is supposed to gather and disseminate energy facts. Spin should be left to political parties.